The International Monetary Fund (IMF) played a ground-breaking role in understanding the financial-sector dynamics of the euro-area crisis. It was the first public authority, and one of the first more generally, to acknowledge the role of the bank-sovereign vicious circle as the central driver of contagion in the euro area. It was the first public authority to articulate a clear vision of banking union as an essential policy response, building on its longstanding and pioneering support of banking policy integration in the European Union. At national level, the IMF’s approach to the financial sector was appropriate and successful in Ireland and Spain, more limited in the Greek Stand-By Arrangement, and less compelling in Portugal where vulnerabilities remained when the country exited the programme. The IMF should further integrate financial-sector policy together with fiscal and macroeconomic issues at the core of its operations, and should devote particular effort to adapting its processes and methodologies to the new context of European banking union. Financial sector aspects have pervaded the euro-area crisis, which can be seen as much as a financial sector crisis as a sovereign debt crisis, even though the latter narrative has dominated media coverage and political perceptions. The fragility of sovereigns in the euro area was to a great extent (though not in Greece) the result of large implicit and explicit state guarantees to national banking sectors. The International Monetary Fund made a significant contribution to addressing the euro area’s financial sector challenges. The euro-area crisis exposed the unsustainability of the then-existing European Union banking policy framework. National authorities were ineffective in supervising banks adequately in the run-up to the crisis, and did not manage and resolve financial sector aspects of that crisis in an effective and timely manner. EU institutions, including the European Central Bank (ECB), did not generally have the skills, experience or mandate that would have enabled them to offset the national authorities’ shortcomings. The IMF was thus in a position to make a major positive difference. At the euro-area level, the IMF played a ground-breaking role in understanding the dynamics of the crisis and promoting banking union as an essential policy response. The IMF was the first public authority, and one of the first movers more generally, to acknowledge the role of the bank-sovereign vicious circle as the central driver of contagion in the euro area. It was also the first public authority to articulate a clear vision of banking union as a policy response, building on its longstanding and pioneering support for banking policy integration in the EU. Even though its advocacy on these issues was not entirely consistent and continuous, the IMF can claim some credit for the euro area’s breakthrough decision in mid-2012 to initiate the banking union; this decision was the most important turning point in the entire sequence of crises. In individual countries, the IMF’s approach to the financial sector was appropriate and successful in several, but not all, cases. The Stand-By Arrangement (SBA)-supported programme in Greece preserved short-term financial stability, but many of its financial sector aspects are difficult to assess on a stand-alone basis since it was followed by further IMF assistance (which falls outside the scope of this evaluation). 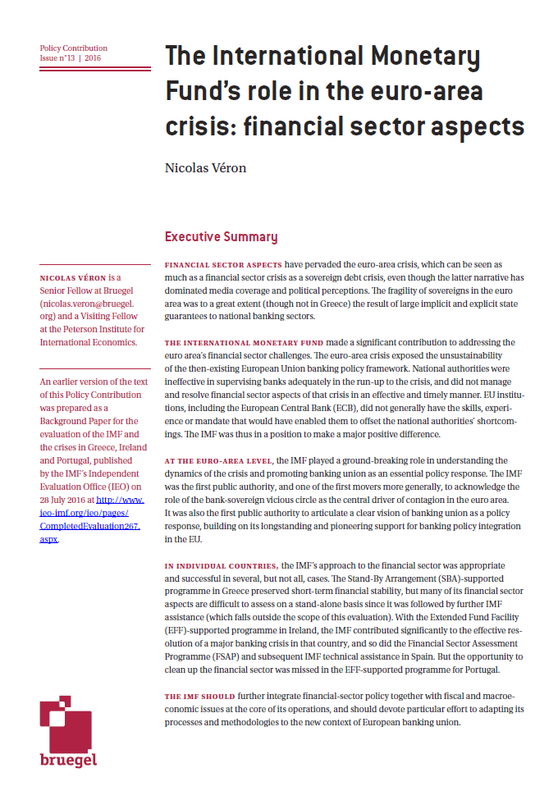 With the Extended Fund Facility (EFF)-supported programme in Ireland, the IMF contributed significantly to the effective resolution of a major banking crisis in that country, and so did the Financial Sector Assessment Programme (FSAP) and subsequent IMF technical assistance in Spain. But the opportunity to clean up the financial sector was missed in the EFF-supported programme for Portugal. The IMF should preserve, update and develop the institutional knowledge it has acquired about the EU financial sector framework. The Fund’s positive contribution to addressing financial sector aspects of the euro area crisis is widely acknowledged by European policymakers, providing a promising basis for future engagement. The IMF should devote particular effort to adapting its processes and methodologies to the new context of banking union, which, for the euro-area countries, makes it increasingly difficult to consider financial sector issues on a national basis. Financial sector issues, especially those relating to banks, played a central and generally under-recognised role in the euro-area crisis. Poorly controlled risk-taking by European banks throughout the 2000s left the EU banking sector highly vulnerable at the onset of the financial crisis in mid-2007, and the subsequent shocks of 2007-08 left it in a situation of systemic fragility. Unlike in the United States, this fragility was not addressed head-on and was allowed to linger. Europe’s banking problem thus long predated the emergence of the sovereign debt sustainability challenges starting at the end of 2009 (see, for example, Posen and Véron, 2009; Rehn, 2016). The key mechanism of the euro-area crisis was what has become widely referred to as the bank-sovereign vicious circle. The modalities of this mechanism varied in different countries but its ‘doom loop’ pattern became increasingly visible as the crisis worsened, even though it was initially obscured by the unique features of the Greek situation. The bank-sovereign link is deeply embedded in the political economy of each member state. It covers the use of banks by governments as instruments of national policy, including the preferred financing of favoured sectors and of the state itself (‘financial repression’) and, conversely, the protection and promotion of domestic banks by national governments (‘banking nationalism’). Europe’s bank-sovereign links were made explicit by a joint commitment given by EU leaders in mid-October 2008 to provide national funding, capital and guarantees to their respective banking systems so that no bank would be allowed to fail (Council of the European Union, 2008). The bank-sovereign link exists in all jurisdictions, but it became uniquely destabilising, and thus a vicious circle, in the context of the EU’s single market and single currency. From the 1990s onwards, cross-border market integration and a competitive level playing field were enforced through increasingly powerful European policy frameworks, including regulatory harmonisation and EU competition policy. 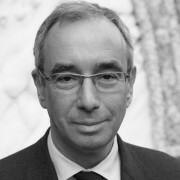 Banking policy frameworks covering supervision and crisis management, however, remained almost entirely national until well into the crisis, despite reforms such as the so-called Lamfalussy Process of EU-level regulatory and supervisory cooperation, introduced in the early 2000s, and the creation of three European supervisory authorities in January 2011 following the Larosière Report of February 2009. This mismatch created perverse incentives for national authorities to neglect prudential aims for the sake of banking nationalism, which prevented banking supervision from being sufficiently effective in almost all advanced EU member states (Véron, 2013). In the euro area, the problem was compounded by the impossibility of devaluing in the event of a sudden stop. The set of reforms known as banking union provided a fundamental response to this policy challenge, even though it came late and remains incomplete. Initiated at a euro-area summit on 28-29 June 2012, the banking union policy package aims explicitly to break the bank-sovereign vicious circle through a transfer of most instruments of banking sector policy in the euro area from the national to the European level. Its inception was instrumental in enabling the ECB to announce its Outright Monetary Transactions (OMT) programme, which in turn marked the turning point of the crisis and the start of a broad normalisation of sovereign credit conditions. As described below, however, banking union remains incomplete and will require new policy initiatives if it is to achieve its stated objective of breaking the bank-sovereign vicious circle in the euro area. Banking union consists of three pillars, under a standard though somewhat simplified classification. These are: (1) a Single Supervisory Mechanism (SSM) that establishes the ECB as the central supervisor of euro-area banks; (2) a Single Resolution Mechanism (SRM) that establishes a new framework for bank crisis management and resolution (though less centralised than the SSM), with a new agency, the Single Resolution Board (SRB), as the hub for corresponding decision making; and (3) a European Deposit Insurance Scheme (EDIS), designed to eventually mutualise the resources and mechanisms through which euro-area countries protect guaranteed deposits. Even though the three pillars are mutually dependent, banking union is being implemented in a staggered and protracted sequence. The SSM was announced in late June 2012 and has been in force since 4 November 2014. The SRM was announced in December 2012 and has been in force since 1 January 2016, but its financial arm, the Single Resolution Fund (SRF, managed by the SRB) will only reach its steady state in 2024, and even then might lack an effective fiscal backstop. A proposal for the European Deposit Insurance Scheme, published by the European Commission in November 2015, would see the EDIS reach a steady state in 2024 at the same time as the SRF but, at the time of writing, no decision has been made to implement this scheme. Given the essential importance of the bank-sovereign vicious circle and of banking union in the euro-area crisis, section 2 of this paper is devoted to the IMF’s role in identifying and addressing these topics. It first reviews the IMF’s surveillance of the European financial system since the start of the crisis, with a focus on the role that the Fund played in the gradual identification of the bank-sovereign vicious circle and its acknowledgement by European policymakers in the period 2010-12. It then analyses the sequence of IMF contributions to the elaboration of the policies now known as banking union. The rest of the paper focuses on individual countries. Section 3 discusses the financial-sector aspects of the assistance programmes for Greece (Stand-By Arrangement 2010-12), Ireland (Extended Arrangement 2010-13) and Portugal (Extended Arrangement 2011-14), as well as the IMF’s involvement in Spain (2012-14). Section 4 analyses salient selected themes from the reviewed cases. Section 5 concludes. While each IMF programme was country-specific, their contents were partly determined by the shared EU and euro-area policy framework. The IMF acted in coordination with the European Commission and the ECB, forming a ‘troika’ with these two institutions (Kincaid, 2016). The European Commission was mainly represented in troika discussions by its Directorate-General for Economic and Financial Affairs (DG ECFIN). On financial sector aspects, however, the Commission’s Directorate-General for Competition (DG COMP) played an influential and autonomous role as the enforcer of the European Union’s unique policy framework for state aid control, with oversight of any national publicly-funded interventions in the banking sector. Another significant EU-level policy framework governs central bank lending operations to banks. The ECB transacts with financial institutions under its monetary policy mandate. In addition, national central banks of the Eurosystem play a lender-of-last-resort role when providing emergency liquidity assistance (ELA), which is supplied under the control of the ECB to ensure compatibility with monetary policy. These central bank interventions powerfully interacted with sovereign financing, through the banks’ purchases of sovereign securities and other mechanisms. Pre-crisis surveillance by the IMF largely missed the build-up of risk in the euro-area banking system. Successive Article IV reports on euro-area policies aptly characterised the shortcomings of cross-border financial integration and corresponding policy challenges (as discussed below), but otherwise devoted only partial attention to financial system developments. They focused on a limited set of indicators, such as banks’ profitability, share prices, market indicators of distance-to-default and reported capital ratios, which did not adequately capture the accumulation of risks in banks’ balance sheets. This observation echoes the identification of shortcomings in general evaluations of the IMF’s surveillance in the run-up to the financial and economic crisis (IEO, 2011; Pisani-Ferry, Sapir, and Wolff, 2011). The IMF’s underwhelming performance in this respect was comparable to that of most other observers, including most market participants. They similarly failed to identify the overextension of banks’ balance sheets that ultimately provided the basis for Europe’s banking crisis starting in late July 2007. The IMF correctly analysed just before that date that “financial indicators may have peaked [and] there are signs that the credit cycle is gradually turning,” but it also stated that “the [euro area] financial system is viewed as relatively healthy” and that analyses by the European Commission and ECB “had confirmed the robustness of the financial system” – statements that would be shown to be questionable shortly afterwards (IMF, 2007: 17-18). “With respect to [bank] balance sheets, the situation is generally stronger in the euro area than elsewhere, with some exceptions within the area. (…) It is true that European banks are more highly leveraged than U.S. banks, but the former hold relatively less risky assets than the latter. 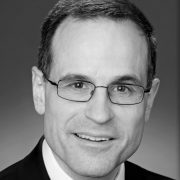 (…) Overall, the staff is fairly confident that the regulatory and legal and accounting frameworks currently in place – Basel II and the International Financial Reporting Standards – can ensure there will be adequate recognition of bank losses in the euro area, even if this may be somewhat less timely than in the United States”. By contrast, in the months following the panic of late September and early October 2008, the IMF was ground-breaking in highlighting European banks’ unaddressed vulnerabilities. The April 2009 Global Financial Stability Report (GFSR) was a landmark contribution that shed an unflattering light on European banks’ unacknowledged losses, and contrasted them with the more timely disclosures in the US and the far lower exposures in Japan (IMF, 2009a: Table 1.3). This analysis was updated in the three subsequent GFSRs of October 2009, April 2010 and October 2010. Though it attracted a lot of attention from outside analysts, and also considerable pushback and criticism from European country authorities and the ECB, as well as internal debate within the IMF, it was comprehensively vindicated by later developments. The banks’ vulnerabilities in terms of undercapitalisation, funding, asset quality and sovereign risk exposures were appropriately identified and characterised. Correspondingly, the 2009 Article IV Staff Report for the euro area frontloaded its analysis of the financial sector, in contrast to the practice in previous years, noting that “the financial sector remains key to the shape and the robustness of the economic recovery.” That report aptly emphasised the “need to take further decisive action, especially in the financial sector. (…) A resolute and coordinated cleanup of the banking system is essential to restore trust” (IMF, 2009d: 4, 9). As a consequence, the IMF appropriately pressed for aggressive bank stress testing and recapitalisation. The IMF publicly criticised the lack of disclosure of results of the first round of EU stress tests in the late summer of 2009. Subsequently, the IMF correctly emphasised that the stress-testing rounds of mid-2010 and mid-2011 would not be sufficient to restore trust in the European banking system unless they were followed up with appropriate action (IMF, 2010c: 14; IMF, 2011b: 13-15). In 2009, staff in the IMF European Department were first to identify the bank–sovereign vicious circle in the euro area. Channels of contagion, from sovereigns to banks and to a lesser extent from banks to sovereigns, had been described in pre-crisis literature, but less so the mutual reinforcement between them in the context of a supranational financial system that was integrated by binding policy instruments. Following the Icelandic crisis of late 2008, research on bank-sovereign linkages was jointly undertaken by staff at the Fund’s European and Research departments. The European Regional Economic Outlook report of May 2009 included a chapter on the fiscal risks resulting from “the use of public balance sheets to shore up the financial system” (IMF, 2009c: Chapter 2). At the same time, Mody (2009) exposed “the possibility that sovereign spreads, the health of the financial sector, and growth prospects support a mutually reinforcing [bad] equilibrium”. In the literature analysis conducted for this evaluation, the author found no other authors or organisations that identified the bank-sovereign vicious circle with similar clarity in 2009, let alone earlier. In 2010, the bank–sovereign vicious circle was further characterised by a few analysts, but it did not feature widely in either IMF analysis or the public debate. For example, Candelon and Palm (2010) noted that while “the consequences of fiscal imbalances for currency/banking crises has [sic] been largely investigated (…) [o]n the contrary, only few papers have scrutinised the potential mutation of banking crises into sovereign debt ones. (…) Reinhart and Rogoff even portrayed this lack of empirical studies regarding banking and debt crises as ‘a forgotten story’”. Illustrating this point, the April 2010 GFSR included a chart showing contagion from sovereigns to financial systems, as had just happened in Greece, but not the other way around. In an update of the same analysis in the October 2010 GFSR, dotted lines were added from banks to sovereigns, and “linkages to the banking system” were mentioned as among several factors contributing to elevated sovereign risks, but the emphasis remained on the sovereign-to-bank channel – underplaying an essential part of the dynamic nature of the contagion (IMF, 2010a: Figure 1.5; IMF, 2010d: Figure 1.5 and text p. 4). The fact that the IMF was slow to build on the early insights from its staff in 2009 about the bank-sovereign vicious circle may partly be attributed to its increased focus on adjustment programmes, starting in 2010 – including work on the Greek SBA, which diverted resources from euro-area-wide analytical work. In 2011, the bank-sovereign vicious circle narrative became widely recognised. Particularly following the developments in Ireland in November 2010, this narrative became increasingly prevalent in academic and other independent studies of the euro-area crisis throughout 2011. But it took some additional time for the IMF to fully realise the implications. The widely noted speech by the managing director in Jackson Hole in August 2011 (Lagarde, 2011), which emphasised the “urgent” need for recapitalisation of European banks, illustrated the lingering ambiguities of the IMF’s stance at that date. On the one hand, the MD made the pioneering proposal “to mobilise EFSF [European Financial Stabilisation Facility] or other European-wide funding to recapitalise banks directly,” which was fully aligned with the vicious circle analysis (see Section IIB). On the other hand, she presented this proposal as only “one option” and thus implied that massive recapitalisations might be funded by national budgets instead – which would inevitably have exacerbated the vicious circle. The bank-sovereign vicious circle became a major feature of the IMF’s interpretation of the euro-area crisis in the autumn of 2011, well ahead of European authorities’ interpretations. In July, the Article IV Staff Report on euro-area policies stated that “the approach to banking problems remains national, thus perpetuating the intertwining of banks and sovereigns” (IMF, 2011b: ‘Key Issues’). A simple and coherent IMF description of the vicious circle was developed by the IMF’s Research Department in the late summer of 2011, and from then on the bank-sovereign vicious circle was consistently and publicly exposed by IMF senior staff and management (see, for example, Chopra, 2011; Lagarde, 2012). The EU did not adopt this analytical paradigm until the spring or early summer of 2012. In sum, the IMF was wrong footed by the financial crisis starting in mid-2007, but from early 2009 it was mostly ahead of other public institutions in the identification of the unique dynamics of the financial system crisis in the euro area. The Fund’s identification of these dynamics played an important role in the genesis of Europe’s banking union. The IMF’s European Department identified and highlighted inadequacies of the European Union’s bank policy framework at an early stage, well before the start of the financial crisis. For example, Article IV consultations for the euro area in 2005 led to a characterisation of barriers to cross-border financial integration in the EU and of the need for more centralised banking supervision (IMF, 2005: Chapters IV to VI). Resulting financial stability concerns were expressed in Article IV staff reports for 2005, 2006 and 2007. Several publications that were initiated by the European Department in 2007, combined with outreach initiatives, provided important analytical contributions to the debate on EU banking policy architecture and went into some detail in outlining possible policy responses. Differences of view between IMF departments, however, prevented this pioneering analysis from influencing policy to the extent it could have. The suggestion to pool supervisory responsibility at the supranational level was fiercely opposed by EU member state authorities. This made it impossible for the European Commission and ECB to publicly articulate proposals such as the IMF’s at that time. The European national authorities’ concerns were echoed in IMF internal debates, principally by the Monetary and Capital Markets (MCM) Department. As a result, public expression of the European Department staff recommendations only used coded, euphemistic terms. The notion of a pan-European banking supervisory authority was referred to as “joint responsibility and accountability,” and the option of a European resolution and/or deposit guarantee fund was referred to as “a burden-sharing agreement” or “ex ante mechanisms to share costs of [bank] failures” (IMF 2007: 20 and 27). These watered-down formulations reduced the impact of the IMF’s otherwise novel analysis. Even so, the European Department’s work on the EU banking policy framework proved controversial when presented to the Executive Board in July 2007. According to the minutes of the meeting, several European Directors expressed the views that the tone of staff recommendations was “too alarmist;” that there was too much emphasis on “the misalignment of incentives” of national prudential authorities; and that financial supervision, being an EU matter, “should not be a focus of discussion on euro area policies”. In 2008, staff presented a toned-down version of a ‘European mandate’ for financial sector authorities in the EU, implying no change to the institutional architecture (IMF, 2008b: Chapter IV). Following the post-Lehman panic, IMF staff made ground-breaking policy proposals to address the challenge of bank restructuring and resolution, which were endorsed by IMF management in early 2010. The shift of focus from supervision to bank restructuring was justified by the fact that in the meantime, EU policymakers were making progress with the establishment of the European Banking Authority (EBA), which was agreed in 2009 and became effective in January 2011. In 2009, the staff complemented the IMF’s advocacy in favour of “a resolute and coordinated cleanup of the [euro area] banking system” with well-argued proposals to create special resolution regimes for banks in all EU member states, building on established US practice and the more recent UK Banking Act 2009, and prefiguring the EU Bank Recovery and Resolution Directive (BRRD) (IMF, 2009e: Chapter II; Cihak and Nier, 2009). In early 2010, staff from the European (corresponding author), MCM and Legal Departments went further by suggesting a blueprint for the supranational pooling of corresponding powers in a European Resolution Authority (ERA), with accompanying legal and financial arrangements to ensure effectiveness (Fonteyne and others, 2010). The ERA proposal was forcefully endorsed by the managing director in a public address in Brussels (Strauss-Kahn, 2010) and referred to in the euro-area Article IV Consultations in June. It can be seen as a prefiguration of the SRM. Until late 2011, these proposals referred to EU-level arrangements, implying that the UK and other non-euro-area member states would be included. This stance was consistent with the EU legal framework, which did not contain a separate financial regulatory regime for the euro area and considered financial regulation as a component of EU Internal Market legislation, which applies to all member states. But it also heightened the political obstacles to implementing the proposals, since the UK (together with Sweden and several non-euro central and eastern European countries) was even more opposed to a pooling of banking policy sovereignty than were most euro-area member states, and was also more advanced in tackling systemic fragility in its own domestic banking sector. Developments to overcome this logjam were protracted. An important change was the acknowledgement by the UK government in mid-2011 that the “remorseless logic” of monetary union would justify further institutional build-up in the euro area. Nevertheless, the Fund’s Article IV Staff Report for the euro area in 2011 still advocated the ERA proposal in the context of “the EU financial stability framework,” with no mention of specific arrangements for the euro area (IMF, 2011b: 16-17). This vision was further developed in the Article IV Consultation later in 2012 (IMF, 2012g: Chapter I). The shift of geographical scope from EU to euro area was frustrating from a principled and legal perspective, since banking union is essentially a single market initiative and should thus encompass the entire EU, but it was pragmatic, given the urgency of the euro area situation in the first half of 2012 as well as political realities in the UK and other non-euro-area member states. The IMF subsequently rationalised this shift by stating that “while a banking union is desirable at the EU27 level, it is critical for the euro 17”. The decision to initiate banking union was eventually made by euro-area leaders. The catalyst was the increasingly widespread acknowledgment of the bank-sovereign vicious circle as the main engine of financial deterioration in the euro area, and the parallel recognition – which became increasingly clear in the second half of 2011 – that a fiscal union (enabling unlimited joint issuance of ‘eurobonds’) would not be politically feasible. 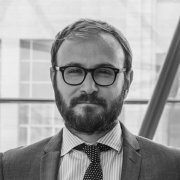 As a consequence, the direct recapitalisation of banks by the EFSF or its successor the European Stability Mechanism (ESM) was increasingly seen as the most promising policy option to stem the contagion, following its early advocacy by the IMF but also by the EBA and later by several member states. The corresponding debate accelerated in the second quarter of 2012, spurred in particular by developments in the Spanish banking system (see below) and the belief that Spain’s continued access to sovereign debt markets was critical for the entire euro area. The establishment of the SSM was proposed in late June by the German government, initially as a check on the risk-sharing inherent in ESM direct bank recapitalisation. The opportunity was seized and swiftly implemented thanks to the joint leadership of the ECB, the President of the European Council and the European Commission, and the SSM subsequently became the central pillar of the fledgling banking union. The IMF can claim some of the credit for the initiation of banking union, even though the opinions of European policymakers vary as to the Fund’s precise role. Several current or former senior officials have argued in interviews that the IMF was not among the main participants in the banking union decision-making sequence. Others, however, emphasised that the IMF’s longstanding advocacy, reiterated in various presentations to European ministers and bilateral meetings in the second quarter of 2012, helped prepare the ground for the decision. It also appears that the IMF’s credibility with the German government enabled it to help overcome initial resistance there. Unlike the ECB and other EU institutions, the IMF did not have a direct turf interest in banking union – which made its advocacy more compelling. In an interview for this evaluation, a senior EU official noted that the US Treasury was also influential in advocating banking union from outside the European Union, especially during the Los Cabos summit of the G20 on 18-19 June 2012. After the breakthrough decision of euro-area leaders on 29 June 2012 to initiate banking union, the IMF continued to provide significant advocacy and advice. It was used as a resource by the ECB in the design and initial establishment of the SSM between 2012 and 2014. The IMF helped cement a consistent framework, including by promoting the use of the term ‘banking union’ to bring together the different policy areas of supervision, resolution and deposit insurance and, more substantially, by publishing a string of documents that holistically described the banking union policy vision (see for example IMF, 2012f; Goyal et al, 2013; the first EU FSAP, published in March 2013; and Enoch et al, 2013). Through these contributions, the IMF appropriately kept reminding euro-area policymakers that the bank-sovereign vicious circle would not be fully broken, and that banking union would remain fundamentally incomplete, as long as deposit insurance remained at the national level and in the absence of adequate backstops. This helped pave the way for the European Commission’s EDIS proposal in November 2015. In sum, banking union is a case of influential and successful IMF policy advocacy, even though the IMF was far from alone in proposing banking union, many aspects of which were first formulated by academic and other independent experts. The IMF itself was also less than fully consistent over time and across departments. It can certainly not claim exclusive ownership of originating (let alone deciding) the set of reforms referred to as banking union, which itself still remains incomplete and a work in progress. Nevertheless, its role in the planning and implementation of Europe’s banking union should be recognised as constructive and significant. The Greek crisis was not triggered by developments in the Greek financial sector. In the late 2000s, the Greek banks were considered well capitalised and did not raise major concerns. The Greek banking sector was widely seen as conservative and resilient, with the last systemic banking crisis having taken place in 1932. The ratio of private debt to GDP was low (97 percent as of end-2008), similar to that in Italy (105 percent) and notably lower than in Portugal, Spain and Ireland (all above 170 percent). Several Greek banks had expanded internationally, mostly to south-eastern Europe and in one case (National Bank of Greece) to Turkey, but oversight of them was considered tight and broadly adequate. Greece’s Article IV Staff Report for 2009 mentions that “stress tests (conducted jointly by the Bank of Greece and staff) suggest that the banking system has enough buffers to weather the expected downturn” (IMF, 2009f: 16). As the Greek government lost market access for sovereign debt in late 2009, Greek banks lost market access for wholesale funding. Liquidity provision was provided by the ECB, from a level of around €10 billion by end-2008 to €50 billion by end-2009 and €100 billion by end-2010 (IMF, 2013c: 19). Deposits were much more stable than wholesale funding, but nevertheless declined regularly and significantly from their peak level in the second half of 2009. The IMF was involved early on in providing technical assistance to the Greek authorities on financial sector issues. An IMF technical assistance mission in February/March 2010, at the request of the Bank of Greece, helped on the management of ELA. A few weeks later, IMF technical assistance was instrumental in the design of a mechanism by which banks would issue bonds guaranteed by the government and thus eligible as ECB collateral, and use them for access to Eurosystem liquidity. These “government-guaranteed bank bonds issued for own use,” or “own-use GGBBs,” would play a major role in subsequent Eurosystem lending operations, in Greece and other programme and non-programme countries. The main financial sector-related condition of the Greek SBA-supported programme, approved on 9 May 2010, was the creation of the Hellenic Financial Stability Fund (HFSF). Intended as an instrument to provide solvency support to any bank that would be hit by unexpected loan losses, the HFSF had €10 billion at its disposal for capital interventions. This was innovative and significant, since the Greek situation was not perceived as a financial sector crisis. The legislation establishing the HFSF was enacted on 13 July 2010, and the HFSF became operational in the autumn of that year. The only other financial sector-related conditions of the programme were the intensification of supervisory practices by the Bank of Greece and a commitment to review insolvency legislation. The initial implementation of the financial sector aspects of the programme was comparatively uneventful. In the EU stress-testing round for which the results were announced in July 2010, all Greek banks were found adequately capitalised except the Agricultural Bank of Greece (also known as ATEbank). Majority owned by the government, the Agricultural Bank was recapitalised with government funds in the course of 2011. Frequent reviews of banks’ funding outlook and continued liquidity provision by the Eurosystem allowed the authorities to avoid disorderly developments, despite declining deposits and regularly mounting non-performing loans. Precautionary capital buffers were imposed on banks, which complied through various channels, including by disposing of assets and raising equity. Total credit started declining in mid-2010 (IMF, 2012a: 7), contributing to the economic downturn that was being driven by many other factors at the same time. The financial sector situation deteriorated in the course of 2011. In the first quarters of the programme period it appeared natural not to take into account the potential losses of Greek banks on their portfolios of Greek government bonds (GGBs), but this stance became increasingly hard to justify as discussions about government debt restructuring, referred to as private-sector involvement, developed in 2011. In these circumstances, ECB bank lending operations, which are reserved for ‘sound’ banks, increasingly came into question, with the corresponding uncertainty in turn contributing to tighter credit conditions. While ECB lending was maintained, the Bank of Greece supplemented it with greater use of emergency liquidity assistance under ECB review, at a higher cost for the banks. Attempts were made to foster the purchase of Greek banks by foreign acquirers, but were unsuccessful given the general uncertainty. Two small banks had to be resolved under a newly adopted resolution law: these were Proton Bank (amid allegations of fraud and money-laundering) in October 2011 and T Bank (formerly known as Aspis Bank) in December 2011. The materialisation of private-sector involvement triggered a major restructuring of the Greek banking system. At no point in the SBA-supported programme did the IMF impose limitations on the Greek banks’ exposure to the Greek sovereign, nor did the other troika institutions or the Bank of Greece; an IMF official interviewed for this evaluation noted that such limits were “not in the IMF’s software at the time” and were not even considered. In late 2011, the nominal (undiscounted) value of Greek banks’ GGB portfolios was about €45 billion, compared to an aggregated core capital of €22 billion (IMF, 2011g: 38, Box 3). In addition, an asset-quality review of Greek banks that was performed by BlackRock Solutions for the Bank of Greece in the second half of 2011 identified further non-performing exposures. Eventually, €50 billion was reserved under the EFF-supported programme approved on 15 March 2012 to cover bank recapitalisation needs and resolution costs. The governance of Greek banks posed challenges that the IMF did not address decisively. The IMF did not initially (during the SBA-supported programme) focus on issues of connected lending that may have contributed to the banks’ risk profile, and thus neglected lessons from its earlier crisis interventions, for example in Asia in the late 1990s. The HFSF’s governance itself was revised on many occasions, but the IMF was not forcefully involved in overseeing it. There were no easy solutions to this challenge, because the uncertainties affecting the Greek banking sector during the SBA-supported programme made it difficult to mobilise non-conflicted sources of private-sector capital for purposes of bank recapitalisation. The IMF’s priority appears to have been to ring-fence the banks as much as possible from government interference. In a late-2011 programme review, the IMF argued that “the government of Greece has a poor track record of properly managing state-owned banks and managing its own finances. This suggests that an effort needs to be made to keep a part of the core banking system in private hands, run by competent managers” (IMF, 2011g: 38, Box 3). This stance was understandable but it carried the risk of insufficient scrutiny of private-sector management, as well as of distortions between ownership and control that could pose governance challenges, especially as banks became increasingly dependent on public sources not only for liquidity support but also for capital. A separate issue was the impact of the Greek programme on the rest of the EU banking system, and the possible implications of this impact for decisions on the design and timing of private-sector involvement (PSI). The design of the SBA-supported programme in 2010 had the consequence that banks outside Greece that held significant portfolios of GGBs, prominent among which were several French and German banks, would receive scheduled repayments in full as long as PSI was delayed (Wyplosz and Sgherri, 2016). Several banks announced their intention to maintain exposures, but there was no binding mechanism to enforce a standstill and the incentives of banks and governments were largely misaligned in this respect. The protracted discussion on PSI in 2011-12 implied that eventual losses on such portfolios were significantly lower for these banks than they would have been had a comparable restructuring taken place at an earlier date. It also implied that to achieve a given amount of sovereign debt reduction, a larger haircut would be needed now, compared with the earlier period when the total pool of Greek sovereign debt held in the private sector was larger. The IMF appears not to have had a clear picture of exposures to Greece in the early phase of reflection about a future PSI in the late spring and summer of 2010, and indeed to have struggled to collect reliable data on these (IMF, 2010b: 12, 16). The extent to which concerns about banks outside Greece weighed on decisions on the timing and design of private-sector involvement is debatable. Some observers have argued that the choice not to have a PSI in May 2010 was largely or even primarily motivated by a desire to protect the French and German banks that held Greek GGBs, which would have been affected by ‘direct’ contagion (ie losses on the Greek debt that would be restructured) (see, for example, Véron, 2010). But there were simultaneous concerns about ‘indirect’ contagion to other euro-area sovereign issuers that were perceived as fragile (such as Ireland, Italy, Portugal and Spain), through a general decrease in confidence in the safety of euro-area government debt if this were shown to carry credit risk. Concerns about indirect contagion, which were partly informed by the experience of the post-Lehman panic, appear to have been the decisive driver of the choices made, at least by the IMF and ECB, and possibly also by the French and German governments. The delay in agreeing on PSI in 2011 can be attributed primarily to the flaws in European decision-making processes and to insufficient focus of attention and decisiveness (compounded by an unexpected management transition) at the IMF, even though it also suited the financial interest of the banks that were receiving reimbursements from Greece in the meantime. The fact that only the SBA-supported programme is evaluated here makes it difficult to carry out a holistic assessment of the financial-sector aspects of the Fund’s work in Greece. On the positive side, programme conditions related to the financial sector were broadly met, and no major disorderly developments occurred in the Greek financial sector in spite of the highly challenging environment. On the negative side, the lack of sufficient attention paid to issues related to Greek banks’ governance and ownership might have contributed to difficulties at a later date; no effort was made to limit Greek banks’ exposure to the Greek government; and the lack of progress on insolvency reform contributed to the accumulation of unaddressed NPLs. It should be noted, however, that any impact of these shortcomings was dwarfed by other drivers of the Greek sequence, including the lack of national ownership, structural features of the Greek economy and political system, and the reluctance of other EU member states to provide unambiguous support to Greece as a member of the euro area. Ireland was a textbook case of the banks-to-sovereign part of the bank-sovereign vicious circle – namely a major banking crisis leading to the sovereign’s loss of market access. It differed from the Greek case, where the contagion was from sovereign to banks. The Irish banks aggressively expanded their balance sheets and risk-taking in the 2000s in an environment of connected lending and inadequate national supervision (Regling and Watson, 2010; CBI, 2010; CIBSI, 2011; IMF, 2015). In response to the post-Lehman turmoil in late September 2008, the government extended a blanket two-year guarantee on all bank liabilities, which was later partly extended into 2011. The government then nationalised Anglo Irish Bank in January 2009; recapitalised the two largest domestic banks, Allied Irish Banks (AIB) and Bank of Ireland (BoI), in February 2009; established the National Asset Management Agency (NAMA) with the aim to purchase impaired loans from the banks, later in 2009; and nationalised the Irish Nationwide Building Society (INBS), in December 2009. The resulting contingent liabilities, combined with the sharp economic downturn, led to market speculation as early as January 2009 that Ireland might need IMF support, and indeed this scenario was discussed by Fund staff with the authorities in early 2009 (Donovan, 2016). The IMF’s surveillance did not anticipate the Irish crisis. In 2007, the Executive Board “welcomed the indicators confirming the soundness of the Irish banking system, including the stress tests suggesting that cushions are adequate to cover a range of shocks even in the face of large exposures to the property market”. Donovan (2016) mentions, among various shortcomings, the inadequate attention paid to risks linked to the commercial property market. He notes that in 2008 “the Fund essentially absented itself from the Irish stage,” in part because the mission chief was reassigned to work full time on the UK; and the 2008 Article IV consultation never took place. The authorities appear not to have interacted at all with the IMF when they guaranteed bank liabilities in October 2008. The IMF’s engagement with Ireland caught up rapidly in 2009, however. Irish banks lost wholesale market access in 2010. Considerable losses materialised for the banks as the NAMA purchased property loans at a steep discount to book value, even though their market value was even lower. Corporate clients also increasingly withdrew deposits. ECB liquidity to Irish banks rose rapidly during 2010 and eventually peaked at around €90 billion in early 2011, supplemented by emergency liquidity assistance from the Central Bank of Ireland (CBI) at an additional €60 billion. Moreover, in spite of very large public capital injections into banks (€46 billion in aggregate by mid-2010), the banks’ solvency came increasingly into question. Successive rounds of stress testing by the CBI in 2009 and 2010, dubbed the Prudential Capital Assessment Review (PCAR), failed to establish trust because analysts remained less than convinced by methodological choices and stress assumptions. The same applied to Ireland’s participation in the EU-wide stress-testing exercises of September 2009 and July 2010. Since Eurosystem liquidity is reserved for ‘sound’ and solvent banks, the ECB made it clear to the Irish government in October 2010 that resolute actions would be needed to enable its continued provision. Meanwhile, the aftermath of the French-German declaration in Deauville (16 October 2010), which appeared to encourage PSI as a component of future assistance programmes, led to further deterioration of financing conditions. The Irish authorities requested assistance in early November, and the staff-level agreement on the EFF-supported programme was announced by the IMF on 28 November 2010. The treatment of senior bank bonds, widely referred to in Ireland as “burning the bondholders,” was a salient issue for the IMF. Former senior Irish officials who were involved in the programme discussions said in interviews conducted for this evaluation that the option of imposing losses (or ‘bail-in’) on senior bank bonds was introduced informally by the IMF mission staff during pre-programme discussions in November 2010, to the considerable frustration of the ECB, and was immediately supported by the Irish authorities. The authorities, however, had concerns that the proposal might not have been fully thought through from a technical and legal standpoint. From interviews conducted for this evaluation, it appears that European Department staff at the time estimated the potential impact of the bail-in at as much as €16-17 billion, as they argued it could be applied to the ‘going-concern’ Bank of Ireland and Allied Irish Banks (also known in Ireland as ‘pillar banks’), as well as to the ‘gone-concern’ Anglo Irish and Irish Nationwide Building Society. By contrast, the Irish authorities believed that bailing-in the bonds of the pillar banks might create broad uncertainty and result in high indirect costs for the Irish economy. Nevertheless, imposing losses on gone-concern banks’ bonds alone, the outstanding amount of which was €4-5 billion, would potentially have yielded €2-3 billion of relief, a not-insignificant amount in the Irish context. The Fund’s MCM Department was more worried about contagion to other euro-area banks. The issue of “burning the bondholders” was discussed in a G7 conference call on 26 November 2010. The IMF’s managing director participated and presented the case for bail-in. As was widely covered in the Irish press, the ECB’s adamant opposition to this action was supported by several participants in the call including, crucially, the US Treasury Secretary, on the basis that the financial gain for Ireland would not justify the risk of destabilising bank bond markets well beyond Ireland, even assuming that the bail-in would only affect gone-concern banks. This temporarily settled the matter. The staff report for the programme request, issued two days later, nevertheless included a reference to criteria for future decisions on bank bonds which left open the possibility of re-examining the bail-in possibility at a later stage (Chopra, 2015: 8). Meanwhile, the IMF’s pro-bail-in stance, which quickly became publicly known, made the Fund comparatively more popular in Ireland. The “burning the bondholders” controversy resurfaced in March 2011. The matter was intensely debated in the campaign for the national election of 25 February 2011, even though at that time it was only about the gone-concern banks, namely Anglo Irish Bank and INBS, which were to be wound up. In late March, the new Irish finance minister intended to refer to it in his maiden speech to the Irish Parliament, a draft of which he submitted to the troika institutions. While the IMF was still in favour of bail-in, the ECB again successfully opposed it. As a consequence, only junior (subordinated) debt was bailed-in, for all four banks (AIB, BoI, Anglo Irish and INBS), with corresponding losses for creditors of €5 billion in aggregate (see below). The episode left a sense of unfairness against Ireland that played a big role in later enabling a financial restructuring known as the “promissory notes transaction”. Interviewees from the Irish authorities assessed this transaction as having been eventually much more beneficial to Ireland than the bail-in of gone-concern bank bonds would have been – even though most commentators in public debate and the media, and the Irish public more generally, do not appear to acknowledge the advantageous nature of this trade-off. The IMF’s decisions in the course of the “burning the bondholders” controversy were broadly appropriate. It was reasonable for the Fund to discuss the option of bailing-in senior bank bonds, given the potential gains for Ireland, and to escalate the discussion once it became clear that Irish authorities were supportive and the ECB was not. Given the potential implications for global financial stability, it was also appropriate that this matter be discussed among principals of the IMF’s key stakeholders. The G7 format for such discussion was certainly less than optimal from an IMF standpoint because it excluded major emerging economies, but no evidence was found that this choice of format came from the IMF. Once G7 principals had rejected senior bank bail-in, the IMF could not include that option in the programme, but the Fund was justified in keeping it open for the future and in supporting it (restricted to gone-concern banks) during the next round of discussions in March 2011. In the end, Ireland benefited from the promissory notes transaction and thus cannot be viewed as having been treated unfairly. One key IMF participant later implied in parliamentary testimony that the IMF was active behind the scenes and contributed to the formation of the promissory notes deal, even though the deal “was primarily in the bailiwick of the ECB” (Chopra, 2015: 10). The EFF-supported programme largely focused on financial sector measures. Out of the €85 billion programme adopted in late November 2010, a notional €35 billion was reserved for banking sector support, with €10 billion initially earmarked for immediate recapitalisation, and an additional buffer of €25 billion for later interventions (IMF, 2010e: 16). The programme mandated significant recapitalisation to reach a core tier-one capital ratio of 12 percent by February 2011, and a new round of balance-sheet assessment and stress testing, known as the PCAR 2011, to restore trust in the underlying capital assessment. The PCAR 2011 was a significant and successful milestone. The CBI chose BlackRock Solutions to assist it in this exercise, which was conducted at a time of political change (elections on 25 February; new government on 9 March) and for which results were published on 31 March 2011. The asset-quality review (or loan-loss forecasting exercise), performed by BlackRock, was the first such independent system-wide assessment in the euro area. As such, it constituted a notable IMF contribution to European crisis-management strategies, prefiguring similar exercises in other programme countries and the euro-area-wide asset-quality review under the ECB-led Comprehensive Assessment of 2014, which was itself a key milestone in the transition to banking union. The results of the PCAR 2011 formed the basis for later supervisory action in Ireland and, unlike the CBI’s PCAR rounds in 2009 and 2010, did not require significant subsequent revision. The exercise identified a capital need of €24 billion, of which about €17 billion was injected by the government, €5 billion came from the bail-in of junior debt and €1.6 billion from private investors (into BoI) (IMF, 2011d: 12). The banking sector was further restructured. EBS Building Society (formerly the Education Building Society) was merged into AIB in July 2011; Anglo Irish and INBS were merged in July 2011 to form the Irish Bank Resolution Corporation (IBRC), which was later gradually wound up and liquidated in February 2013; the Irish Life & Permanent group was purchased by the government in 2012 and split, with its insurance operations (Irish Life) resold to a Canadian insurer in mid-2013 and its banking operations (Permanent Trustee Savings Bank or PTSB) restructured in 2012; the credit unions sector was also overhauled, with a new Credit Union Bill adopted in September 2012 and a number of local credit unions closed or recapitalised. Rather than renewing the whole PCAR approach every year as initially envisaged, the CBI performed a so-called “point-in-time balance sheet assessment” as of end-June 2013 in the last quarter of that year, in anticipation of the ECB-led Comprehensive Assessment of 2014. Controversy arose about the fate of Irish Life & Permanent (later PTSB). The ECB advocated its merger into the Bank of Ireland, an option that would have allowed faster reimbursement of the Eurosystem liquidity on which it kept relying. But DG COMP insisted that keeping alive a third significant bank (aside from AIB and BoI) was needed to ensure a sound financial sector structure, and that saddling BoI with IL&P/PTSB would hamper its recovery. The IMF initially sided with the ECB, apparently assuming that the Irish banking sector would remain contestable and that a temporary duopoly would thus not be overly harmful. The protracted weakness of the Irish banking sector since then suggests that the Fund may have overestimated the short-to-medium-term potential for foreign-bank entry. Eventually the stance of DG COMP prevailed. Overall it appears that there was no first-best option on PTSB, and in this context the sequence of decision making appears to have been reasonable. Former participants from the IMF, ECB and DG COMP stated in interviews that the discussion remained focused on policy substance throughout. The banks’ deleveraging weighed negatively on Irish growth, but this was mitigated by the large amounts of foreign assets held by the banks, which could be sold without contributing to domestic deleveraging. It was also helpful that a key engine of the Irish economy –operations of large foreign (including many American) multinationals – was not primarily dependent on the domestic banking system. Nevertheless, the credit reduction that occurred in Ireland was significant. The IMF’s technical input was valued by the Irish authorities. The IMF helped the Central Bank of Ireland to enforce better implementation of International Financial Reporting Standards, especially in loan provisioning and disclosure practices, and to enhance supervisory quality through the assessment of compliance with the Basel Committee’s core principles for effective supervision. A difficult point was the treatment of NPLs and the recovery of mortgage arrears, but though the outcome was frustrating – given delays in corresponding actions by banks – the IMF’s contribution was considered helpful by several stakeholders. Interviewees also acknowledged that the IMF’s assistance on credit union reform was significant. In sum, the EFF-supported programme for Ireland can be considered a clear success in terms of financial sector restructuring and reform, which was itself a major component of the programme. While the Irish authorities’ ownership was the major driver of the programme’s success, the quality of the IMF staff team and the value of the IMF’s contribution to programme policies were widely praised. The IMF’s interaction with its troika partners, while not always consensual, was also considered highly professional and constructive by all parties. In Portugal, problems in the financial sector were less central to the need for assistance than in Ireland, but more so than in Greece. As in Ireland, private debt was very high, in excess of 260 percent of GDP (IMF, 2011a: 4). As in Greece, there were significant fiscal and structural challenges unrelated to the financial sector, including hidden public debt in state-owned enterprises (SOEs) and public-private partnerships (PPPs). But there were also signs of banking sector fragility and of supervisory weakness. A small bank, Banco Portugues de Negocios (BPN), had had to be nationalised in late 2008. Another small bank, Banco Privado Portugues (BPP), was liquidated in April 2010, while BPN remained in limbo following an unsuccessful privatisation attempt in 2009-10; lapses of supervision were widely cited as having played a role in its failure. Other banks gradually lost market access as doubts mounted about sovereign creditworthiness, in yet another illustration of the bank-sovereign vicious circle. (Deposits, by contrast, remained stable.) In late April 2011, at the time when the Portuguese authorities requested assistance, ECB liquidity provision reached €48 billion, or 9 percent of Portugal’s total banking sector assets (IMF, 2011a: 7). Most of the large banks’ ownership structures created incentives for related-party lending. Among the five largest banks, Banco Espirito Santo (BES) and Millennium BCP stood out among European banks for their ownership links with non-financial businesses and, in the case of BCP, with a developing economy (Angola). Banco Portugues de Investimento (BPI) also had significant Angolan as well as Brazilian and Spanish ownership. Caixa Geral de Depositos (CGD), a state-owned bank, played a major role in financing Portuguese SOEs and PPPs. The fifth significant bank, Santander Totta, had been owned since 2000 by Spain’s Santander group. The programme that was approved by the IMF Executive Board on 20 May 2011 included a number of policies focused on the financial sector. These included, among others: measures to maintain access to ECB liquidity, including large government guarantees for the issuance of own-use GGBBs (as in Greece); a raising of minimum capital requirements, to 9 percent by end-2011 and 10 percent by end-2012; a Bank Solvency Support Facility (BSSF) of €12 billion (out of the programme’s total €78 billion), similar to and slightly larger than what had been included in the Greek SBA with the creation of the HFSF; plans for banking sector deleveraging, including an accelerated sale of BPN and downsizing of CGD; and improvements in the resolution framework (IMF, 2011a: 16, Box 1). Nevertheless, the Portuguese programme stopped short of a full-fledged approach to the financial sector. Crucially, unlike in Ireland and in earlier assistance programmes to emerging economies, the programme did not include a system-wide external review of the asset quality of Portuguese banks. Instead, the IMF worked with the central bank (Banco de Portugal, BdP) to design a balance-sheet assessment and stress-testing programme, called the Special on-site Inspections Programme (SIP), which was then renewed on a quarterly basis. The option to use an external evaluator with a broad review mandate (such as BlackRock Solutions, used in Ireland’s PCAR 2011) was resolutely and effectively opposed by the BdP, which instead suggested the SIP as an alternative approach. The SIP remained firmly controlled by the Portuguese authorities. It involved some external review, but by different consultants on different banks (including EY, PwC, Oliver Wyman and BCG), only on limited parts of the banks’ portfolios and under constraining assumptions set by the BdP. As a consequence, this programme stopped well short of an independent comprehensive assessment. According to interviews with IMF staff members, within the Fund the European Department deferred to MCM on this issue. The option of an independent comprehensive external assessment of the banks was abandoned following internal debate in MCM, on the basis that the BdP was a trustworthy supervisor and that antagonising it on this issue would diminish the authorities’ ownership of the programme. Evidence gathered for this evaluation does not suggest that either the European Commission or the ECB questioned this choice made by the IMF, even though the issue of external assessment was debated within the troika. Also, the minimum capital requirements imposed on Portuguese banks were lower than in the Irish programme. The IMF’s lack of an assertive approach to the Portuguese financial sector may have resulted from a combination of ideological, political and practical factors. First, the IMF team appears to have displayed an inherent bias linked to the perception of the Portuguese crisis as ‘mostly fiscal’ and not directly linked to financial sector weakness. This bias portrayed the private sector as “the victim not the problem,” as discussed above in the case of Greece. This may have created a reluctance to consider options that might result in the partial or complete nationalisation of commercial banks, notwithstanding these banks’ apparent incentives for related-party lending, their complex governance structures and their high leverage. (Conversely, there was much IMF emphasis on privatising government-controlled banks, an emphasis that several interviewees from the Portuguese authorities considered to have been excessive.) For example, following advice from the IMF (but not under programme conditionality), Portugal in 2011 passed a legislative amendment that banned the acquisition by the government of shares of the private-sector banks. This had to be reversed in late 2012 to allow the intervention into Banco Internacional de Funchal (BANIF) (see below). Second, there was unquestionably a perception that avoiding escalation with the BdP would be beneficial for the authorities’ ownership of the programme, which indeed was high and facilitated many aspects of its implementation, and also for maintaining consensus with EU institutions, since these endorsed some positions held by the Portuguese authorities. IMF staff interviewees acknowledged that senior private-sector bankers had very high social status in Portugal, and that IMF questioning of the soundness of their institutions would not elicit domestic support. Even ostensibly independent Portuguese individuals, whose opinions the IMF thought reliable, provided views of these banks’ situation that with hindsight were overly optimistic. A willingness to be ‘parsimonious’ in imposing conditionality may also have played a role in limiting the Fund programme’s financial-sector intervention. Third, in a context in which the Portuguese government’s financial position was becoming increasingly tense in early 2011, and the risk of missing payments on public salaries and pensions was becoming less remote, there might have been an overarching concern to conclude programme negotiations quickly, and to minimise the upfront funding gap, which could have been widened by the revelation of latent losses in the banking system. On a related note, the bank-sovereign vicious circle narrative had not yet become universally accepted within the IMF. Without sufficient awareness of the bank-sovereign dynamics, there might have been a temptation to think that the programme’s objective of sovereign debt sustainability could be achieved without fully restoring the soundness of the banking sector. The banks’ deleveraging happened at the same time as several foreign banks were reducing their own exposure to Portugal. This contributed to credit scarcity, especially for new projects, because Portuguese banks tended to prioritise the refinancing of loans to SOEs and other existing borrowers (IMF, 2011h: 16). The programme’s ambitious deleveraging targets were successfully advocated by the ECB, while the IMF was seen by Portuguese officials as having more awareness of the negative macrofinancial implications. The restructuring of the banking sector was limited, however, and several major vulnerabilities were not addressed decisively. The sale of BPN to Banco Internacional de Credito (Banco BIC Portugues), an entity controlled by Angolan interests, was announced quickly in July 2011, but the finalisation of the transaction was delayed for eight months by DG COMP concerns over the use of public money; BPN’s distressed assets were retained by the government and later liquidated (IMF, 2011h: 16). Caixa Geral de Depositos significantly reduced its international exposure by selling foreign assets. Banco Internacional de Funchal (BANIF), a Madeira-based, medium-sized bank, had major weaknesses that were identified from the programme’s inception, but its restructuring, involving the government taking a majority ownership stake, took place only in early 2013. A significant share of the programme-related recapitalisation of the other banks took the form of non-voting contingent convertible (or CoCo) debt instruments (€4.3 billion purchased by the BSSF: IMF, 2012i: 9), and thus had no impact on ownership structures. In late 2011 and early 2012, there were heated debates between IMF and DG COMP experts on this issue. The BdP and IMF defended the decision to leave equity ownership structures unchanged, arguing that management continuity would contribute to stability: the IMF publicly communicated the concern of “preserving private management of otherwise sound banks by limiting voting rights of shares acquired by the Portuguese state” (IMF, 2011h: 15). DG COMP, by contrast, unsuccessfully advocated raising more common voting equity instead of less loss-absorbing CoCos, even if that would imply government ownership. Furthermore, as the IMF noted, the CoCo debt instruments that were used “to avoid nationalisation of the banking system” had a high interest rate (8.5 percent) and weighed negatively on the banks’ profitability (IMF, 2012e: 15). In the same spirit of maintaining existing structures of control and management of the banks, caps on voting rights were maintained (particularly affecting BCP and BPI) – which created disincentives against investment by third parties in the banks’ equity capital. The programme’s initiatives to address NPLs were insufficient. Doubtful accounting and consolidation practices by some banks were left unchanged. While the Angolan operations of Portuguese banks were an important contributor to their profits at the time, the corresponding risks resulting from significant exposures in Angola were not comprehensively analysed and assessed. The reasons for the IMF’s reluctance to be assertive during the programme’s implementation were similar to those described above with respect to programme design. The IMF staff’s attention focused on the public sector, while the role of the banking system as an enabler of public-sector excesses was downplayed. IMF staff was reluctant to escalate financial-sector issues with the authorities: according to an interview with an IMF staff member, the lack of decisive action on BANIF led staff to consider suspending one programme review in 2012, but the IMF eventually backed off. In addition, several IMF interviewees argued that, as the end of the programme drew nearer through 2013 and early 2014, the IMF’s leverage gradually evaporated. On a practical level, the perception lingered among IMF staff – even after the euro-area-wide turning point in the summer of 2012, with OMT and the start of ‘positive contagion’ – that a more rigorous prudential approach might expose financing gaps beyond the programme’s finite resources, that would potentially require a second programme for Portugal with assorted burden-sharing challenges. As a consequence, at the time of Portugal’s exit from the programme in May 2014, the banking sector remained fragile. At €46.5 billion in February 2014, reliance on Eurosystem liquidity was about as high as at the outset of the programme, and higher as a proportion of the country’s banking system assets (11 percent) (IMF, 2014b: 18). Banking sector profitability had not been restored. The banks’ ownership structures still posed obstacles to raising private-sector capital. Significant risky exposures remained unaddressed. In April 2014, the last programme review noted that, “The banking system continues to operate in a highly challenging environment,” citing high NPLs and negative (actually worsening) profitability (IMF, 2014b: 17). It also suggested that Portugal’s corporate debt restructuring strategy, as elaborated under the programme, needed “rethinking” (IMF, 2014b: 29, Box 5). Banco Espirito Santo completed an equity capital increase of more than €1 billion in early June 2014. Shortly afterwards, however, it announced large unexpected losses and was subsequently resolved by the BdP in early August 2014. A privatisation process of the ‘good bank’ that emerged from the resolution, renamed Novo Banco, failed in September 2015. Later in 2015, the ECB (in its new capacity as supervisor) asked Novo Banco to further strengthen its balance sheet and, in a controversial move in December 2015, the BdP enabled Novo Banco to meet this requirement by shifting more losses to some but not all of the bank’s senior creditors. Many aspects of this complex story remain unclear, and many lawsuits are ongoing. Staff from the IMF European Department, and also former officials from the European Commission and Portuguese government, argued in interviews that they began to have doubts about BES’s financial health from as early as 2011, but received repeated assurances from the BdP and did thus not pursue the matter further. Media reports on BES accounting practices in December 2013 were a clear and public red flag, and there are indications that knowledge of BES’s weakness was widespread in the Portuguese financial community well before that date. One Portuguese interviewee asserted that a Portuguese stakeholder in BES had specifically contacted the IMF in late 2013 to alert it to the bank’s worsened situation. Separately, the CEO of BPI testified in the Portuguese parliament that he had met with unspecified troika officials in September 2013 to alert them about BES. Had the IMF effectively insisted that the BES problem be addressed more decisively in late 2013 or early 2014 (let alone earlier), the public cost of the resolution would almost certainly have been lower, and at least some of the related controversies might have been avoided. The lingering fragility was not limited to BES/Novo Banco. BANIF was eventually resolved in December 2015 at a high public cost of several billion euros. Meanwhile, the ECB’s Comprehensive Assessment (ECB, 2014) found BCP to be insufficiently capitalised. After becoming supervisor in November 2014, the ECB applied a more cautious treatment than the Portuguese authorities had applied earlier to the banks’ exposures in Angola, with BPI being significantly affected, among others. In sum, the EFF-supported programme paid insufficient attention to the need to restore the soundness of the Portuguese banking sector. Financial stability was maintained, and a number of useful reforms were enacted, but the IMF did not sufficiently address crucial vulnerabilities and the banking system was not adequately restructured. 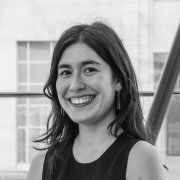 If staff had insisted from the outset on an independent balance-sheet review of all large Portuguese banks, and had put more emphasis on banking sector issues in the programme’s execution, the late-stage banking failures of BES and BANIF might have been mitigated and perhaps avoided altogether. Perhaps even more important, if more attention had been paid to banking challenges, Portugal might have been prevented from suffering from a drag on its growth resulting from the prolonged fragility of its banking sector. Like Ireland, Spain was a case of contagion from the banking sector, but it was the worsened euro-area environment that made this a threat to sovereign market access. Ultimately, Spain never lost sovereign market access. But the risks from the banking sector were considered sufficiently large in mid-2012 to justify an EFSF/ESM assistance programme that focused on bank recapitalisation and in the monitoring of which the IMF participated. In spite of problems in its domestic banking sector, Spain needed external assistance only because of the accelerating dislocation of euro-area financial markets, from mid-2011 on. Conversely, the rapid improvement of market conditions, following the banking union decision of end-June 2012 and the ECB’s OMT announcement shortly thereafter, suggests that Spain may not have required a programme had its banking problems crystallised at another moment. Weaknesses were concentrated in the savings banks sector. Spain’s savings banks (cajas de ahorros) had a long history as local public credit institutions under a special legal and regulatory regime, with similarities to Germany’s current framework for savings banks. They expanded aggressively in the Spanish domestic market, increasing their market share from around 20 percent of bank lending in the late 1970s to around 40 percent in the late 2000s, and to more than 50 percent of total bank deposits from the mid-1990s. They had no share capital, with their equity consisting mainly of reserves generated through retained earnings; were considered non-profit institutions; and stayed almost entirely tax-exempt until 1985. Control was exercised through idiosyncratic governance structures by groups of stakeholders that included territorial entities, depositors, employees and others such as local bodies of the Catholic Church. Following Spain’s transition to democracy in the 1970s, their legal framework was repeatedly reformed and a significant number of mergers took place, reducing the total number of cajas from 84 in 1976 to 46 in 2004. However, all of these mergers, with the exception of a tiny one, took place within single autonomous communities, reflecting the autonomous communities’ regulatory authority over savings banks within their respective territories, including over changes of control. Savings banks could sell assets but could not issue equity capital or be acquired by third parties other than other savings banks. The IMF published an in-depth review of the cajas in the Spanish FSAP of 2006, noting that “a fundamental policy question affecting the Spanish cajas is whether the existing governance structure is conducive to sound risk management by ensuring that these institutions’ business decisions are free of political interference and that proper internal controls are in place” (IMF, 2006: 3 and passim; IMF: 2009b: 36, Box 1, on lending market share). This warning was later vindicated in the crisis, even though some savings banks (including the largest, the Barcelona Savings Bank known as La Caixa) remained strong throughout. IMF surveillance after the Lehman panic gave appropriate warnings on Spain’s financial sector weaknesses. While the 2009 Article IV Staff Report referred to “sound supervision,” a staff stress-testing exercise conducted that year identified a possible need for additional capital, despite the Spanish banks’ high buffers, resulting from the country’s policy of “dynamic provisioning,” that had led to additional requirements during the property market upswing (IMF, 2009b: 58). Article IV staff reports in 2010 and 2011 put significant emphasis on the sector’s vulnerabilities, and (in 2011) expressed doubts that the Spanish authorities’ ongoing efforts to consolidate savings banks, though significant, would be sufficient to restore soundness (IMF, 2011c: Chapter IV). In late May 2012, liquidity provision from the ECB to Spanish banks reached €343 billion (IMF, 2012h: 5). The financial system stability assessment (FSSA) that the IMF conducted for Spain in 2012 under the Financial Sector Assessment Programme (FSAP) had a catalytic impact. With preparatory missions starting in October 2011, the FSSA/FSAP took place at the moment when the seriousness of Spain’s banking problem was becoming increasingly difficult to ignore. It also happened at a time of political transition, with a new centre-right government taking office on 21 December 2011. Senior Spanish and European officials who were interviewed for this evaluation concurred that thanks to this “serendipitous” timing, FSAP missions had significant influence in helping the authorities to acknowledge the reality they were facing and prepare appropriate responses. The quality of the FSAP team and work was widely praised by Spanish and other European interviewees. IMF public communication on the FSAP in April 2012 was controversial, but justified under the circumstances. On 25 April 2012, at the government’s request, the IMF released ‘Preliminary Conclusions by the Staff of the IMF’ on the FSAP. This text referred to a group of banks undergoing restructuring and stated that, “it is critical that these banks, especially the largest one, take swift and decisive measures to strengthen their balance sheets and improve management and governance practices.” In the context of the moment, it was clear to all observers that the bank singled out was Bankia. Bankia was a problematic conglomeration of Caja Madrid, Bancaja (based in Valencia), and several smaller savings banks. It had been formed in the second half of 2010 as part of the Bank of Spain’s programme of savings bank consolidation, and had been publicly listed with the assent of the Bank of Spain in July 2011 in what was Spain’s third-largest-ever IPO. Events accelerated in the following days and weeks. On 7 May 2012, the Chairman of Bankia resigned. On 9 May, the government took control of Bankia by announcing the conversion of its preferred shares. On 25 May, the government announced Bankia’s nationalisation and an injection into it of €19 billion of new equity. On 29 May, the Bank of Spain’s governor announced his resignation, and on 11 June the deputy governor in charge of bank supervision followed suit. While the IMF was blamed by some parties for having accelerated Bankia’s demise and participated in a sequence that had heavy political overtones, with hindsight its public intervention was justified by the unquestionable seriousness of the problems at Bankia and the response from the Spanish authorities up to that time. The final IMF financial system stability assessment report provided both a tentative assessment of financial sector soundness and a comprehensive blueprint for further financial reform. The report was published on 8 June 2012, and included stress tests results that estimated the Spanish banking system’s aggregate capital need at €37 billion, noting that this number was lower than most market estimates at the time (IMF, 2012d: 62, Table 11; and 36, Box 2 on market estimates). Crucially, the report went beyond system-wide aggregates and used a ‘triage’ process, classifying individual banks into different groups (strong; viable but weak; non-viable), that helped the sounder part of the system to keep market access. The report included specific reassurances on the solidity of the three largest banks (Santander, BBVA and La Caixa) (IMF, 2012d: 22). It did not mince words on the authorities’ past failings, noting that “The BdE [Bank of Spain]’s slow approach in taking corrective action has allowed weak banks to continue to operate” (IMF, 2012d: 26). The report and its accompanying technical notes included detailed recommendations for further reform, especially of savings banks’ governance and ownership and of the bank crisis-management and resolution framework. Shortly after the FSAP report was published, Spain agreed to receive assistance from the EFSF/ESM, with non-financial support from the IMF. The Spanish government requested financial assistance from the EFSF on 25 June 2012, and a memorandum of understanding (MoU) was adopted on July 20. The conditionality, including on triage and recapitalisation, the establishment of a national asset management company, and the strengthening of the Fondo de Reestructuracion Ordenada Bancaria (FROB, established in mid-2009) as a resolution authority, was largely along the lines suggested in the FSAP report and significantly reflected the IMF’s advice to the Eurogroup. Also on 20 July, the Spanish authorities and the European Commission agreed with the IMF on ‘Terms of Reference for Fund Staff Monitoring in the Context of European Financial Assistance for Bank Recapitalisation,’ which specified that the IMF was not responsible for the conditionality of MoU implementation but that “Fund staff monitoring reports can be used by the authorities and the EC in their reviews under the financial assistance,” and added that “monitoring is to be conducted by Fund staff as a form of technical assistance under Article V, Section 2 (b) of the Fund’s Articles of Agreement.” This compromise – reflecting the desire of ESM stakeholder countries (not least Germany) to have the IMF involved while the Spanish government insisted on its role being only advisory – was seen by interviewees from the IMF and from Spanish authorities as effective in view of subsequent programme implementation. The EFSF/ESM program had an envelope amount of €100 billion to reassure markets but, as described below, only about two-fifths of this total was actually used. The programme was completed in January 2014. The IMF produced five monitoring reports between November 2012 and February 2014. Under the terms of reference, each included a section on the macroeconomic and macro-financial context, and a separate section on monitoring of the financial sector, which according to Spanish and European interviewees had much more influence. This divide was the result of an internal IMF decision that granted overall leadership to the European Department, even though the most significant section, on financial sector monitoring, was led by MCM. This division of labour does not appear to have led to significant operational difficulties, even though it may have produced inefficiencies in the form of unnecessarily large IMF missions. The reform programme was implemented largely as initially designed, thanks in part to the IMF’s technical assistance role. A comprehensive asset-quality review was carried out by the ‘big four’ audit firms (Deloitte, EY, KPMG and PwC) during the summer, followed by a bank-by-bank stress test by the Oliver Wyman consultancy, completed in September 2012. The stress testing identified an aggregate need for €59 billion (later revised to €56 billion) of additional capital in 10 banks. This was met with €39 billion of public capital injections, €13 billion in junior debt bail-in and €2.5 billion in equity from the private sector, the rest being capital gains on asset sales and revaluations. New legislation was adopted to strengthen and clarify the resolution authority of the FROB and the supervisory mandate of the Bank of Spain. A reform of the savings banks’ ownership and governance was also introduced, as had been recommended in the FSAP; Spanish interviewees suggested that the IMF was instrumental in designing this reform, but that later the Fund did not give it enough attention to ensure its full implementation. A national asset management company, the Sociedad de gestion de Activos procedentes de la Reestructuracion Bancaria (SAREB), was established in December 2012 and in the following three months bought €51 billion of assets from the banks undergoing restructuring. As a result, the Spanish banking system was significantly restructured, with the FROB acquiring temporary ownership of banks representing almost a fifth of total loans. As also happened in Ireland and Portugal, there was a debate within the troika on the pace of bank deleveraging. DG COMP successfully advocated a rapid schedule of banking system restructuring, while the IMF was concerned that this would have a negative macroeconomic impact. It was possible to shed empirical light on this debate, thanks to the extensive triage that had been performed upfront, by studying the differences in deleveraging behaviour between the weaker and the stronger banks. ECB analysis found that the two groups deleveraged along similar patterns, suggesting that the dynamics of deleveraging were largely driven by credit demand. In sum, the IMF’s involvement in the Spanish banking sector in 2012-14 was highly influential and successful. In 2012 the IMF was instrumental in a shift by the Spanish authorities, from an initial stance that did not acknowledge the full extent of the country’s banking problem, to a comprehensive and effective approach to banking sector clean-up. The IMF provided policy strategy and technical advice that was highly valued by an overwhelming majority of Spanish and European interviewees. It should also be noted that, just as the Spanish programme would most probably not have been needed without the sharp deterioration in the euro-area environment in 2011 and early 2012, the continuous improvement of that environment that followed the ECB’s Outright Monetary Transactions announcement contributed substantially to the programme’s success. The IMF entered the euro-area crisis with an established playbook, in contrast to its European partners in the troika. Especially on financial sector issues, it had experience and acceptance of the need for a politically difficult sequence of triage, recapitalisation and restructuring, about which many European policymakers stayed long in denial (see, among others, Posen and Véron, 2009), including on the value of bringing in a ‘fresh pair of eyes’ from externally commissioned asset-valuation experts in the triage phase. The benefits of this approach were particularly evident in Ireland and Spain, even though, as discussed above, it was not used in Portugal. On several occasions, the IMF’s heft, and the leadership qualities and problem-solving focus of its financial experts, were acknowledged as having helped to build consensus within the troika and programme ownership within national authorities. Another observed strength of the IMF compared with other troika institutions was its ability to interact with, and learn from, financial market participants. From many interviews, it appears that the IMF earned the respect of key national policymakers for its competence, impartiality and discipline. Several interviewees from the ECB and the European Commission emphasised their learning from the IMF, on technical matters but also on processes and communication. Some suggested that, since 2010, the ECB and European Commission had at least partly closed their initial gap with the IMF in terms of skills and experience, but that the IMF still retained an advantage, in terms of its greater remoteness from European political constraints and its ability to rely on experience gained from other parts of the world. The troika format led to tensions, but some of these were ultimately constructive (see also Kincaid, 2016). In programme situations, the IMF is accustomed to being in an unquestioned position of leadership. IMF staff members undoubtedly felt that having to work with the ECB and European Commission in the euro area was constraining and involved many frustrating moments. The tensions often resulted from structural differences of perspectives and interests. Most evidently, the ECB was concerned that Eurosystem liquidity should be repaid quickly, while the IMF put its main focus on fiscal dynamics, including the authorities’ ability to pay back its loans. As one national official who was interviewed noted, the IMF typically prioritised fiscal deleveraging, while the ECB favoured banking deleveraging at least as much as the fiscal variety. Many IMF staff and other interviewees, however, also noted that complementarities within the troika could also lead to better policy assessments and choices than if the IMF had been alone or in the unchallenged position of ‘senior partner’. Examples of situations when the troika choice appeared (with hindsight) superior to the initial IMF position include the rapid pace of bank restructuring in Spain, and arguably also the decision to keep PTSB as a separate bank in Ireland (as well as, in the EU but not the euro area, the 2009 choice not to force Latvia to abandon its peg to the euro). The quality of dialogue among the institutions was described in interviews as generally better on Ireland and Spain than on Greece and Portugal, especially as regards the relationship between IMF financial experts and the DG COMP teams. On occasion, the IMF deferred too much to national authorities. The most pronounced case analysed here was the decision not to use an external evaluator for the assessment and triage of banks in Portugal. This in hindsight was unwise – even while keeping in mind that there can be no certainty that a fresh pair of eyes would have identified all undisclosed problems, particularly at BES. The lapses in financial sector surveillance in Ireland until 2009 suggest a similar bias. So did, in some interviewees’ view, the IMF’s reluctance to publicly challenge euro-area national supervisors’ practices of geographical ring-fencing of capital and liquidity in the banks under their authority, in contrast to the IMF’s involvement in the Vienna Initiative. Interviewees with emerging-market experience suggested that the IMF was more deferential to national authorities in western Europe than in other parts of the world, giving credence to the ‘Europe is different’ narrative in this respect. The counterargument that the IMF was initially reluctant to challenge banking supervisors in the euro area because of their reputable past track record is unconvincing in view of recent and ongoing difficulties at the time in such countries as Portugal (BPP and BPN), Germany (IKB, WestLB, and Hypo Real Estate) and France (Dexia). The IMF occasionally appeared unwilling to acknowledge the institutional realities of the European Union, to the detriment of its own effectiveness. In the financial sector, this was particularly the case with the Fund’s observed reluctance to accept constraints from the EU competition policy and state aid framework. This appears to have resulted both from an instinctive dismissal of authority at the EU level as opposed to that within member states (which, unlike the EU, are formal stakeholders in the IMF’s governance), and from a sporadic lack of technical familiarity with the legal and operational framework of EU competition policy. Interviews suggested that IMF financial experts sometimes challenged DG COMP’s positions without having adequate legal counter-expertise (occasionally because they neglected to consult the IMF’s own Legal Department), and that they overestimated the scope for flexibility and opportunistic interpretation of the Treaty’s competition-policy mandate. In some cases, this stance led to avoidable escalation and/or deadlock. The comparatively slow pace of decision making at DG COMP was also described as contributing to tensions. At the root of these difficulties, some (though not all) of the IMF staff members involved do not appear to have acknowledged the fundamental role of state aid control and competition policy as a pillar of the entire European Union construct. This led to a dismissal of the corresponding constraints as petty bureaucratic obstacles. More generally, IMF staff were seen as less willing to proactively engage with EU authorities than with national authorities. One interviewee gave as an illustration of this discrepancy the fact that the first visit to the ESM by IMF staff only took place in December 2014, more than four years after that organisation began operations (initially as the EFSF). Beyond the specific EU context, there were occasional gaps in the IMF’s analytical approach to the financial sector. Arguably the most pervasive such gap was the IMF’s tendency to analyse the financial sector through the lens of national aggregates, as opposed to taking a bank-level approach. Even without access to confidential supervisory data, the IMF has significant resources for bank-specific analysis. This tendency was far from general: the IMF made a major contribution in the Spanish case when it emphasised the importance of bank triage and aptly underplayed the importance of the ‘big number’ of system-wide capital needs. But in other circumstances, the country-level aggregate approach prevented the IMF from accurately characterising problems in the banking sector. One interviewee mentioned as an example the IMF’s review of the Italian banking system in 2013, and related that to the dominant fiscal and macroeconomic (as opposed to financial) culture of area departments, the Research Department and the IMF staff in general. Senior European policymakers who were interviewed suggested that this bias undermined the IMF’s analysis of the trade-offs of bank deleveraging, and that it was more pronounced than in earlier eras. Other shortcomings, partly also linked to the dominance of fiscal and macroeconomic analytical frameworks, included an occasional underestimation of issues of measurement, accounting and disclosure, and a chronic downplaying of issues of bank governance, related-party lending and management integrity in financial sector analysis. Some shortcomings boiled down to human-resource issues. The IMF’s skilled and experienced experts in financial crisis management who were available to work on euro-area situations were greatly valued but very few in number, and their capacity was stretched thin. This led to high turnover, including in comparison with other institutions in the troika, which occasionally impaired the IMF’s effectiveness and the time consistency of its stance. Some interviewees argued that the IMF downsizing of 2008-09 was at least partly to blame for this situation. In several cases, the insufficient integration of crisis management and regulatory/supervisory expertise within MCM weighed negatively on effectiveness. An exaggerated emphasis on confidentiality may have hampered the sharing of information across programmes and the analytical ability to ‘connect the dots’. This may have led to a lack of consistency in approach within MCM to the different euro-area country programmes, which some interviewees criticised. More broadly, there appears to have been scope for improvement in IMF-wide information-sharing, deliberative processes and interdepartmental coordination. As mentioned above, the IMF performed generally better in this respect than EU institutions, but this does not imply that it achieved the best possible practice. Some longstanding and former staff members observed a gradual deterioration of the IMF’s internal deliberative culture. An additional observation was that, particularly but not exclusively regarding Greece, the IMF appeared to put too much emphasis on internal compartmentalisation of information out of an excessive fear of external breaches of confidentiality. The euro-area crisis was an unprecedented case of direct IMF intervention in the core of the global financial system. The crisis posed significantly different challenges from those faced in emerging or developing economies, even though there were also significant similarities. Because of the euro area’s systemic financial importance, its crisis posed an immediate risk to the integrity of the global financial system. But because of the European countries’ direct and indirect influence on the IMF’s own governance and in the global institutional environment more generally, intervening at the ‘core’ allowed the IMF less leeway in relation to existing legal and institutional arrangements than in most (or possibly any) of its past crisis experiences. The unusual experience of being bound by membership of the troika was only one aspect of this constraining environment. The IMF appears to have initially underestimated the associated complexity, and occasionally struggled with the multiple legal and political dimensions at stake. While the associated constraints might have been a frequent source of frustration for IMF staff, they can also be seen as the flipside of the IMF’s enhanced relevance. It may be that the IMF’s scope of intervention will increasingly overlap with the ‘core’ of a global financial system that itself appears likely to become increasingly multipolar. From this standpoint, the distinction between emerging and advanced economies, which remains ingrained in the IMF’s organisation, vocabulary and analytical frameworks, should be questioned as potentially counterproductive. Together with the imbalance in the IMF’s governance that gave (and still gives) disproportionate representation to Europe, this divide appears to have contributed to the ‘Europe is different’ attitude which, while not universally pervasive, has reduced the IMF’s overall effectiveness in responding to the euro-area crisis. Similar challenges are predictable should the IMF in the future have to respond directly to adverse developments in other ‘core’ jurisdictions. The IMF has occasionally struggled to adapt to the unique, complex and shifting reality of the EU framework. The Fund’s country-based governance has created structural impediments to its effective intervention in the EU, given the latter’s hybrid but binding supranational governance framework. 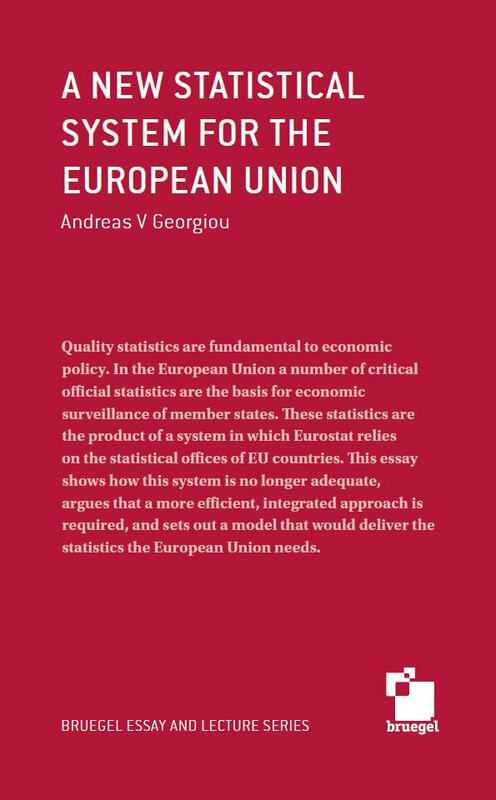 The discrepancy between the euro area and the EU as a whole created additional challenges, as did the fact that EU treaties are more difficult to modify than almost any national law or even constitution. One senior British policymaker suggested that the IMF had not devoted enough resources to analyse and understand the “biggest monetary policy experiment ever” – that is, the euro area’s Economic and Monetary Union. The above-described gaps in the IMF’s acknowledgement of EU competition policy and its state aid control framework constitute another example of the same challenge. The IMF should further work to develop and maintain its institutional knowledge of the EU and its relationship with EU institutions, and to join this up with its expertise at the level of individual EU member states. One emerging challenge in this respect is created by banking union. The supranational pooling of banking policy means that the IMF’s traditional tools of financial system analysis at the national level are likely to become increasingly inadequate for countries that are members of the banking union. The IMF is and should remain proactive in addressing this challenge. For example, since late 2014, mentions of “the authorities” in euro-area countries’ Article IV consultations refer to the Single Supervisory Mechanism in matters of banking supervision, in accordance with the EU’s SSM Regulation of October 2013, and a working-level agreement between the IMF and SSM provides for the SSM to give “the authorities’ response” in such matters. Similarly, from 2016 onwards, national FSAP reports on euro-area countries will include assessments of the SSM and SRM. It is essential to further develop a strong, permanent and trust-based relationship between the IMF and the SSM and the Single Resolution Board, which may be enshrined in explicit written arrangements. Such relationships should entail appropriate access to information, but also exchanges of staff and other means of enabling effective interaction in surveillance and in possible future crises. The experience of the euro-area crisis also underlines the longstanding challenge for the IMF to better integrate its financial system analysis and expertise with its fiscal and macroeconomic competencies. The issue of macro-financial join-up is not new and has been at stake in the Asian financial crisis, in the 2006 merger of the IMF’s International Capital Markets and Monetary and Financial Systems departments to form MCM, and in evaluations of IMF performance both before and after the start of the global financial crisis (IEO, 2011, 2014; Pisani-Ferry, Sapir and Wolff, 2011: 25). The euro-area crisis illustrates the need for financial system analysis to become as central to the IMF’s culture and processes as is fiscal or debt sustainability analysis, including in the Strategy, Policy and Review Department and all area departments. In parallel, the IMF should also further develop its ability to lead global thinking about finance. In other words, the experience of the euro-area crisis suggests that the old pun about the IMF acronym meaning ‘It’s Mostly Fiscal’ should gradually be remade as ‘It’s Mostly Financial and Fiscal’. It remains to be seen whether the efforts currently underway will be sufficient to meet this challenge. The causal link between banking union and OMT is revealed in Van Rompuy (2014). A more detailed analysis of this sequence and of banking union more generally is in Véron (2015). Euro-area finance ministers have agreed on the principle of establishing a ‘common backstop’ for the SRF during the transition period until 2024, but have not decided on its specific nature and modalities. See ‘Statement of Eurogroup and ECOFIN Ministers on the SRM backstop’, 18 December 2013. The EFF-supported programme for Greece approved in 2012 and the EFF-supported programme for Cyprus approved in 2013 are not included in the scope of this evaluation. During the period evaluated, DG ECFIN was responsible within the European Commission for financial-sector conditionality in country assistance programmes. In late 2014 the corresponding teams were transferred to another part of the European Commission (DG FISMA) as part of a wider reorganization. 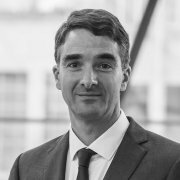 Competition policy frameworks exist in most of the world’s advanced jurisdictions, but state aid control as exercised by DG COMP is unique to the EU. For most practical purposes, DG COMP acts independently from the rest of the European Commission, including when it participates in discussions in the troika format alongside the IMF and ECB. The ECB’s Governing Council is notified of ELA in advance by the relevant national central bank, and can veto it with a two-thirds majority. There was no FSAP for the European Union as a whole before the start of the crisis. The report for the first EU FSAP was published in March 2013. ‘Euro Area – Euro Area Policies’, Minutes of IMF Executive Board Meeting 08/69-1, 25 July 2008. Similar calculations were made in the October 2008 GFSR (Table 1.1), but only for US banks. The April 2009 GFSR included calculation errors for some central and eastern European countries, which were later disclosed: see Stefan Wagstyl and Jan Cienski, ‘Red faces as Fund forced to fix error’, Financial Times, 7 May 2009. Separately, some aspects of the methodology used to calculate the unrecognised losses of European banks in the April 2009 GFSR were modified in later GFSRs in 2009 and 2010, in order to better take into account transatlantic differences in banks’ loss rates. A version of that analysis was later published as a working paper (Sgherri and Zoli, 2009). Several former staff members interviewed for this evaluation referred to an explicit discussion of bank-sovereign linkages in IMF management’s communications to European leaders in late 2009, but could not provide documentary evidence. The reference is to Reinhart and Rogoff (2008). Other descriptions of the bank-sovereign vicious circle in 2010 include Gerlach, Schulz and Wolff (2010), and Alter and Schüler (2010). See, for example, Gelpern (2011) in January; Darvas, Pisani-Ferry and Sapir (2011), in February; Marzinotto, Pisani-Ferry and Wolff (2011), in July; and Acharya, Drechsler and Schnabl (2011), in August. The underlying research was published in IMF (2011e); see especially Figure 1.17, p. 21. The MD’s stance provided support for the launch of the European Banking Authority (EBA)’s recapitalisation exercise in October 2011, which had an adverse pro-cyclical impact because it imposed a high capital threshold of 9 percent with mark-to-market consideration of sovereign debt portfolios. See EBA press release, ‘The EBA details the EU measures to restore confidence in the banking sector,’ 28 October 2011, and a critical assessment in Véron (2011). See also Lesley Wroughton, ‘Analysis: IMF’s Lagarde shows independence from Europe,’ Reuters, 1 September 2011. Non-public presentations by the Economic Counsellor on World Economic and Market Developments (31 August 2011) and to the International Monetary and Financial Committee (24 September 2011). See also Mody and Sandri (2011). Euro Area Summit Statement, Brussels, 29 June 2012. An interview with senior ECB officials confirmed the perception that the IMF preceded the ECB in this analysis. Only documents from 2005 onwards are reviewed here. Earlier notable contributions include IMF (1998), Chapter V.
 Cihak and Decressin (2007); Decressin, Faruqee and Fonteyne (2007). 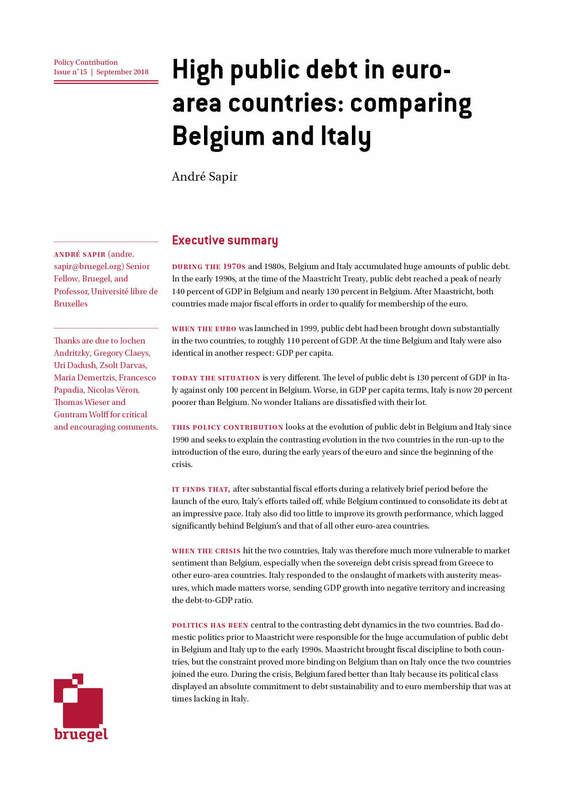 Among other outreach initiatives, the IMF co-organised a conference on European financial integration in Brussels with Bruegel and the National Bank of Belgium in February 2007. Based on several interviews with current and former staff, and on the author’s own experience in 2007. Other departments, including Strategy, Policy and Review (SPR) and Research, were less directly involved in these debates at the time. ‘Euro Area – Euro Area Policies,’ Minutes of Executive Board Meeting 07/65-4, 25 July 2007. The EBA strengthened supervisory coordination between national authorities, but stopped short of a single supervisor. This would be later established for euro-area countries with the creation of the SSM. The BRRD was proposed by the European Commission in early June 2012 following lengthy consultations, enacted in May 2014, and fully entered into force in January 2016. ‘Concluding Statement of the IMF Mission on Euro-Area Policies,’ 7 June 2010. The SRM was initially announced in December 2012, enacted in July 2014, and fully entered into force in January 2016. It encompasses more euro-area banks than the IMF’s ERA proposal of 2010, which suggested limiting its authority to large cross-border banks only. But its decision-making framework is less centralised, and the SRF does not cover deposit insurance, unlike the European Deposit Insurance and Resolution Fund that the IMF proposed in 2010 as a necessary complement to the ERA. This gap may be closed in the future, if the European Commission’s EDIS proposal is adopted. The SRM Regulation of July 2014 applies only to the euro area and other EU member states that may voluntarily join the banking union, in spite of being framed as internal market legislation (based on Article 114 of the Treaty on the Functioning of the European Union). The robustness of this legal construct, however, has not yet been tested in court. Chris Giles and George Parker, ‘Osborne urges eurozone to ‘get a grip’,’ Financial Times, 20 July 2011. A legal twist further justified this shift, even though it may not have played a role in the IMF’s own thinking: Article 127(6) of the Treaty on the Functioning of the European Union, which is part of the Economic and Monetary Union framework that only covers euro-area member states, provided a reasonably robust legal basis for the establishment of the SSM, on the condition that the central supervisory authority would be assumed by the ECB. As it later turned out, the fact that the SSM was located in the ECB was crucial to its swift and effective establishment, with the eventual transfer of authority on 4 November 2014 being orderly and on schedule. ‘2012 Article IV Consultation with the Euro Area: Concluding Statement of IMF Mission,’ 21 June 2012. At that date, there were 27 member states in the EU and 17 in the euro area. Following its formulation by the managing director in the Jackson Hole speech of August 2011, this proposal was repeated in the September 2011 and April 2012 WEOs (IMF, 2011f: 19, 80; and IMF, 2012c: 22-23), although the September 2011 GFSR only mentioned the EFSF’s ability to lend to sovereigns for banking sector recapitalisation purposes, which unlike direct recapitalisation does not mitigate the bank-sovereign vicious circle (IMF, 2011e: 44, 45, 48). The April 2012 GFSR supported the direct recapitalisation proposal (IMF, 2012b: 55). See, for example, ‘EBA Calls for Direct EFSF Bank Lending, More Capital – Press,’ Market News International, 30 August 2011. This episode was later related by Peter Spiegel and Alex Barker, ‘Banking union falls short of EU goal,’ Financial Times, 19 December 2013. See Véron (2015) for a more detailed discussion of this policy sequence. The use of the term ‘banking union’ in official EU communications was resisted by the German Finance Ministry as late as the spring of 2013. It is striking in this respect that the IMF’s staff discussion note on banking union (Goyal et al, 2013), the preparation of which was led by the European Department, does not acknowledge any of the IMF’s own ground-breaking early contributions on this theme published in 2007 and 2010. By contrast, the IMF’s advocacy of fiscal union in parallel to banking union in the first half of 2012 did not gain comparable traction. See IMF (2012f), Box 2 (‘The Case for a Banking Union’) and Box 3 (‘The Case for a Fiscal Union’). Total deposits declined continuously from €238 billion to €165 billion between end-December 2009 and end-March 2012, or an average decline of €8.1 billion per quarter (Louri-Dendrinou, 2014). See ‘Transcript of a Conference Call on Greece’ with Mission Chief to Greece and Deputy Chief, IMF Media Relations, 13 July 2011; Sober Look blog, ‘The ECB lending to periphery governments via ‘backdoor SMP’,’ 30 April 2012; and Tom Beardsworth, ‘Phantom Bonds Menace Write Down of Greek Lenders’ Senior Notes,’ Bloomberg News, 7 September 2015. Liz Alderman, ‘Greek Oligarch Is Arrested in Fraud Inquiry,’ The New York Times, 13 December 2012. Based on interviews with IMF staff members and a former European Commission official. In the same vein, the March 2012 EFF-supported programme for Greece included a mechanism that limited the exercise of voting rights by the HFSF in banks “where the private sector materially contributes,” with this contribution deemed “material” even when only 10 percent of the total (IMF, 2012a: 26-27). By contrast, the European Bank Coordination Initiative (also known as the Vienna Initiative) – which was launched in early 2009 to maintain western European banks’ exposures in central and eastern Europe, with IMF participation alongside other national and international institutions – was based on a strong alignment of incentives, since many banks had a strategic interest in their central and eastern European operations. Based on an interview with IMF staff members, the interests of French banks may have been a factor in the French government’s initial opposition to the IMF’s involvement in the Greek rescue in early 2010, but no evidence was found that they determined the French government’s positions in later episodes. The Fund’s own Ex Post Evaluation of the Greek SBA (IMF, 2013c) does not refer to the adjustment programme’s financial sector aspects other than in a purely descriptive manner. Transcript of a press briefing by David Hawley, Senior Advisor, External Relations Department, IMF, 15 January 2009, https://www.imf.org/external/np/tr/2009/tr011509.htm. ‘IMF Executive Board Concludes Article IV Consultation with Ireland,’ Public Information Notice No.117, 25 September 2007. Interview with former IMF staff member, 2015. The numbers in this paragraph are from IMF (2015: 8). On Eurosystem liquidity see also IMF (2013a:10). The content of letters from the ECB President to the Irish Finance Minister on 15 October and 19 November 2010, as well as responses, was published by the ECB in November 2014 and can be accessed at http://www.ecb.europa.eu/press/html/irish-letters.en.html. This latter amount was mentioned by an Irish interviewee as the estimate made by the Irish Treasury Management Agency in February or March 2011. Bonds outstanding could not be fully bailed-in because of several legal constraints, including that the banks had been made technically solvent by the government following their nationalisation in 2009, and that some of the debt was in the form of covered bonds. See, for example, Arthur Beesley, ‘Dark days: behind the bailout,’ Irish Times, 19 November 2011. The SRM and BRRD have created a more predictable policy framework for senior bank debt bail-in in future such situations in the euro area. The promissory notes transaction is described in IMF (2013a: 5, Box 1). One interviewee suggested that the initiative to discuss Ireland in the G7 format probably came from the ECB. There were precedents of similar approaches in prior IMF programmes, for example, in Indonesia and Turkey. As a result, the government’s equity stake in BoI was reduced to 15 percent, while AIB remained more than 99 percent government-owned. The liquidation of IBRC was part of the above-mentioned promissory notes transaction. This transaction also extinguished the remaining stock of ELA, which was around €40 billion at the time. The Comprehensive Assessment (ECB, 2014) eventually found AIB and BoI adequately capitalised, but a capital shortfall of €0.85 billion at PTSB. See also the Ex Post Evaluation of the Extended Arrangement for Ireland (IMF, 2015a). See, for example, Raul Vaz and Miguel Coutinho, ‘2010: ou o que mais nos ira acontecer?’ Diario Economico, 12 December 2010. The Millennium brand was superimposed on the Banco Comercial Portugues (BCP) name in 2004 but the bank remains widely referred to in Portugal as BCP, a convention also used in the rest of this text. As of 2010, Espirito Santo Financial Group (ESFG), a holding company controlled by the Espirito Santo family, held 67 percent equity in the intermediate holding BESPAR, which itself held 42 percent equity in BES. France’s Credit Agricole Group held 32 percent of BESPAR and 8.8 percent directly in BES. Other significant BES shareholders included Tranquilidade, a Portuguese insurer, and Bradesco, a Brazilian bank, each at around 6 percent. As of mid-June 2009, Sonangol, the Angolan state-owned oil company, held 10 percent of BCP’s equity; Grupo Teixera Duarte, a construction company, held 7 percent; and Joe Berardo, a self-made businessman, held close to 5 percent. As of end-2010, BPI’s main shareholders were Spanish banking group La Caixa (30 percent); Brazilian banking group Itau (19 percent); Grupo Santoro, an entity controlled by the Angolan President’s daughter, Isabel Dos Santos (10 percent); and the Allianz insurance group (9 percent). All interviews of Portuguese stakeholders for this evaluation were conducted before the change of government in November 2015. The BPN story generated prolonged controversy, not least because of the bank’s links with the Portuguese political community. See for example Sergio Anibal and Isabel Arriaga e Cunha, ‘Cinco ex-responsaveis do Banco de Portugal defendem Constâncio no caso BPN,’ Publico, 2 April 2014. Including the implications of the EBA capital exercise of late 2011/early 2012; see footnote 18. Patricia Kowsmann, ‘Espirito Santo Engages in Financial Gymnastics to Survive Crisis,’ Wall Street Journal, 12 December 2013. Cristina Ferreira and Paulo Pena, ‘Ulrich diz que ‘não é possível fazer a separação do Governo da situação’ do BES,’ Publico, 17 March 2015. 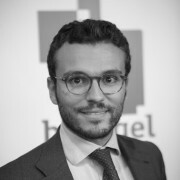 Andrei Khalip, ‘Portugal BPI seeks African spin-off despite opposition in Angola,’ Reuters, 28 December 2015. The IMF has not yet published an ex-post evaluation of the Extended Arrangement for Portugal. Autonomous communities, such as Andalusia or Catalonia, are Spain’s first-level administrative and political divisions under the Spanish Constitution of 1978. Tier-one capital instruments available to savings banks included cuotas participativas, a non-voting variable income instrument akin to German stille Einlagen, and participation preferentes, a form of subordinated debt. The number of savings banks was reduced from 45 pre-crisis to 18 by mid-2011 and 11 by mid-2012. Based on an interview with IMF staff. The previous government was associated with the formation of Bankia and with its IPO of July 2011. The governor of the Bank of Spain who resigned in May 2012 had a political background in that government’s leading party. The retail subscribers of Bankia’s IPO were left with heavy losses following the bank’s nationalisation in 2012. The same number was later rounded to “about €40bn” in IMF communication on the programme: see ‘IMF Says Spain’s Core Financial System is Resilient, but Important Vulnerabilities Remain,’ IMF Press Release No. 12/212, 8 June 2012. The arrangement included a pledge to transfer the assistance from the EFSF to the ESM as soon as the latter became operational, which happened later in 2012. See Kincaid (2016) and de Las Casas (2016) for more in-depth analysis of the institutional aspects of this arrangement. 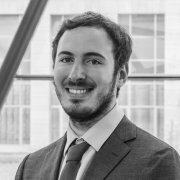 Oliver Wyman had been hired earlier in 2012 by the Spanish government, together with Roland Berger, to advise on the banking sector’s situation. All numbers in this paragraph are from IMF (2014a: 9, 10). And also in the EFF-supported programmes for Greece and Cyprus, not evaluated here. 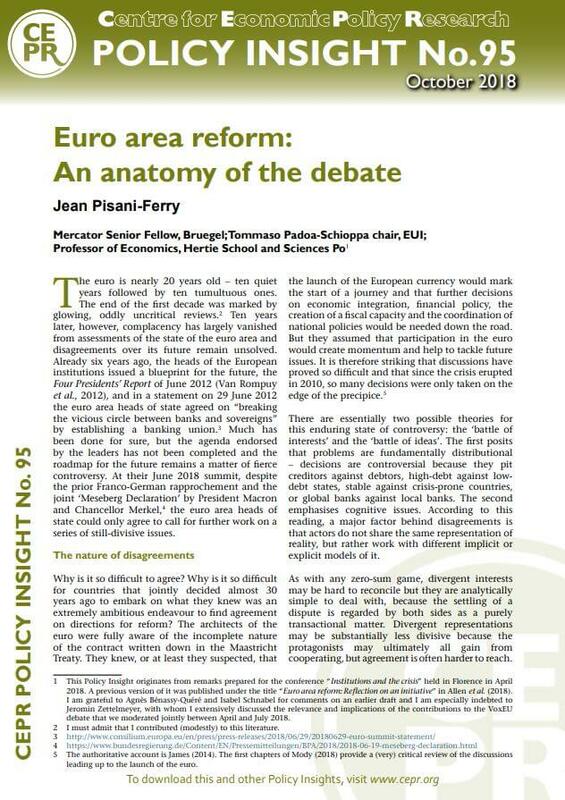 The IMF’s ‘Europe is different’ mindset until 2009 was characterised in Pisani-Ferry, Sapir and Wolff (2011: 10). While the geographical perimeter of the banking union is initially identical to the euro area, it is likely that in the future some other EU member states will join the banking union without adopting the euro as their currency. A framework for such so-called “close cooperation arrangements” is explicitly provided by the SSM and SRM Regulations.